Survey your surroundings with confidence with the Ponder Lounge Chair. Ponder’s padded high-density foam seat gently slopes upward providing embracing comfort while the tapered back provides ergonomic support. 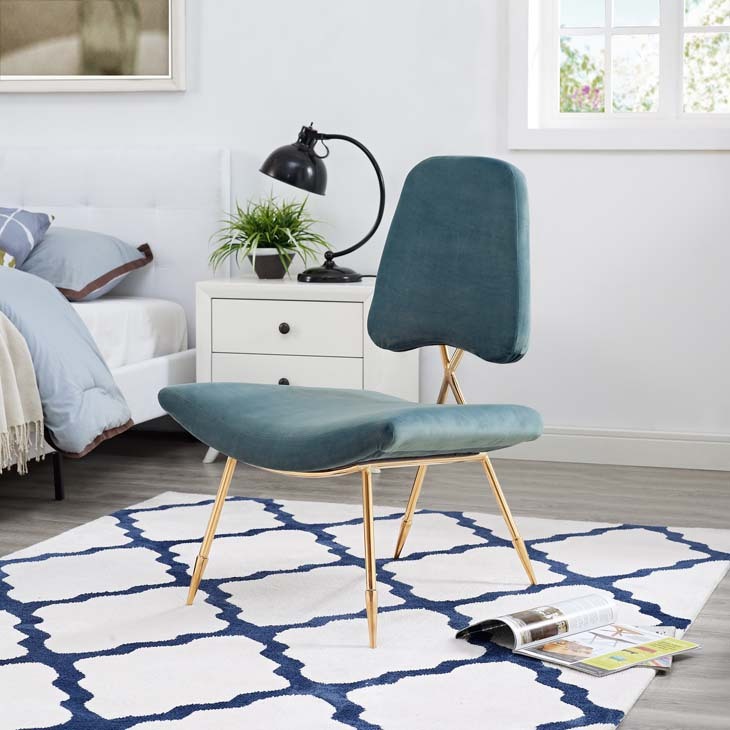 Finely upholstered in velvet polyester, and supported by a sturdy gold stainless steel frame with four angled mid-century toothpick legs, Ponder makes a striking statement. 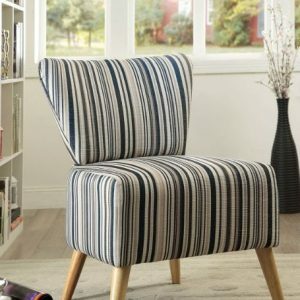 Accentuate your modern decor with a contemporary living room or bedroom chair that elevates any empty area of your home.